A search and rescue helicopter had been combing the area also but was forced to turn back due to low visibility. 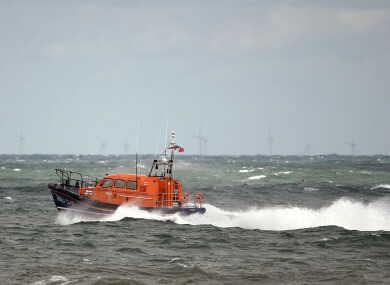 THE COASTGUARD IN the UK has confirmed that there are no people in the water after a ferry collided with two yachts off the Isle of Wight on the southern English coast. All 56 people on board the ferry are safe and well, the Coast Guard confirmed. Around 8am this morning, HM Coastguard received a number of calls, including a 999 call from a member of the public who said he’d heard cries for help within Cowes Harbour. It was confirmed that this person was onboard his own vessel and crying out to try to alert the master of the ferry of the situation. “The Red Falcon has been refloated and is now in the process of going alongside in East Cowes where MCA surveyors will make an assessment of the vessel,” the Coastguard said. All passengers remain safe and well and will disembark when the vessel is safely alongside. It is believed the Red Falcon Ferry collided with the yachts at the entrance of the harbour during heavy fog. INCIDENT UPDATE Any witnesses who saw the collision, the grounding and/or any passengers onboard the #RedFalcon are requested to contact MCA Investigations and Enforcement Unit via email at enforcement.unit@mcga.gov.uk leaving their contact details so that we can get in touch. A search and rescue helicopter had been searching the area also but was forced to turn back due to low visibility. “The search is ongoing and we have no further information at this stage,” the coastguard said. Email “Passengers to disembark ferry that collided with two yachts off Isle of Wight”. Feedback on “Passengers to disembark ferry that collided with two yachts off Isle of Wight”.